Substantial effort put forth over the last 20 years toward the development of practical high temperature superconduc- tors (HTS) has led to the commercial avail- ability of high quality, long-length ReBCO coated conductors. A major fraction of this development has been supported by the US Department of Energy (DOE) in an effort to develop HTS for use in the electric power grid. The program resulted in several successful demonstration projects, and relatively long sections of superconducting power transmission cables were incorpo- rated in the grid. Though ReBCO coated conductors offer significant advantages over conventional materials for power grid applications, such as reduced transmission loss, increased power density, reduced right of way and the ability to limit fault currents, it has proven difficult to penetrate this particular market on a larger scale. ReBCO coated conductor development has since shifted focus to applications where they do not compete with existing, proven technology, and where ReBCO coated conductors are a true enabling technology. These include high field magnets for use in facilities and medical applications, generators for wind turbines and high current density power transmission systems for use in confined spaces. Most of these applications will gain from operating at temperatures substantially below the boiling point of liquid nitrogen, allowing them to benefit from the much higher performance of ReBCO conductors at low temperatures and also to mprove cost effectiveness. Technical barriers to large-scale application of thin, fragile ReBCO coated conductors remain. 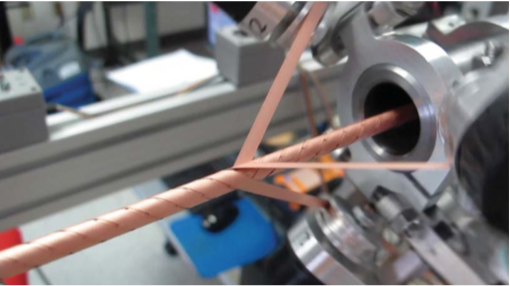 In this article the focus is on the development of practical and round ReBCO-based conductors, in an effort to substantially reduce the technical barriers and clear the path for ReBCO conductors becoming a true enabling technology. The next generation of high field su- perconducting magnets, such as accelerator magnets operating at fields beyond 20 T and research magnets operating at even higher fields, needs to be constructed from HTS, because the low temperature superconductors NbTi and Nb3Sn are fundamentally limited to operation at fields of 23 T or lower. Other magnets, such as those for compact fusion machines, would greatly benefit from the much higher temperature margin that HTS offers, allowing operation in the 20 to 30K range. HTS may enable magnet joints in superconducting fusion magnets, allowing easier access to the plasma space for maintenance and repair, advancing the technology towards practical fusion energy. Most large superconducting magnets require a low inductance and thus operate at very high currents in excess of 10,000 A in the accelerator magnets of the Large Hadron Collider and over 60,000 A in the International Thermonuclear Experimental Reactor. Low magnet inductance allows for high current ramp rates and a much better quench protection. Single ReBCO coated tape conductors cannot provide this and thus need to be bundled into high current cables containing many ReBCO tapes in parallel. Some of the technical challenges that ReBCO cables have to overcome, especially for use in accelerator magnets, include the need for very high engineering current densities, exceeding 500 A/mm2 at magnetic fields of 20 T or higher, and a high level of flexibility to allow for cable bending on diameters of less than 40 mm. Several approaches to cable ReBCO tapes have been developed over the years, including Conductor on Round Core (CORC®) cables in which layers of ReBCO tapes are wound in helical fashion around a thin core. CORC® cables are currently the only round and robust, transposed, isotropic ReBCO-based multi-kiloampere conductors (see Figure 1). The principal design is based on proper strain management, avoiding damage to the superconducting tapes during cabling. Figure 2 shows how a layer containing three superconducting tapes is wound with a custom machine. The short twist pitch of less than 20 mm, in combination with the ability of the tapes to slide within the cable while bending, make CORC® cables the most flexible HTS cable available on the market today. CORC® cables for magnets are currently being developed with support from the DOE for use in fusion and accelerator magnets. These programs have resulted in a huge increase in performance of CORC® magnet cables over the last year. CORC® magnet cables of only 6 mm in diameter have reached a critical current of about 7,000 A and an engineering current density of 250 A/mm2 at 4.2K and 17 T. Such a relatively small diameter cable is flexible enough to be bent on a diameter of about 60 mm without significant degradation. 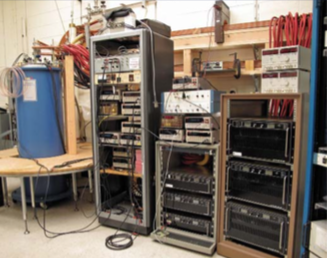 Figure 3 shows the measurement setup at NIST to test CORC® cables carrying a current in excess of 10,000 A in a background field of up to 8.75 T.
Another very exciting application of ReBCO tapes and particularly CORC® cables is high current density power transmission. Initial development of ReBCO conductors focused on low current and high voltage, similar to conventional power transmission lines. Power transmission at relatively low voltage and high current, though, is required for certain demanding applications where a vast amount of energy needs to be transported within a limited space, such as on Navy ships, in electric airplanes and in data centers. Power levels that can be delivered by conventional transmission cables are limited due to high weight, large footprint and low efficiency. Superconducting power transmission cables operating at low voltage and very high currents have the potential to transform the landscape of power transmission in these niche markets. The US Navy has recognized the potential of HTS technology and, after successful development of HTS degaussing systems, is now focusing on the development of CORC® power transmission cables. CORC® power transmission cables can be cooled by cryogenic helium gas to a temperature below 60K. Cooling with helium gas reduces possible asphyxiation hazards associated with liquid cryogens onboard Navy ships. It also allows for significantly lower operating temperatures and thus higher current densities in the CORC® cable compared to operation at liquid nitrogen temperature. CORC® cables have now been proven feasible for use as high current density magnet and power transmission cables. Their performance at high magnetic fields has been doubled in the last year and has now exceeded the feasibility threshold for use in accelerator magnets for basic research or compact medical accelerators. Significant further improvements in CORC® cable performance are expected over the next year when more advanced ReBCO tapes become available from SuperPower (CSA CSM). Tapes containing a higher level of Zr doping to enhance their high field performance, in combination with thinner substrates, will become available within the next months. These advanced conductors will allow CORC® cables to evolve into practical, round, fully isotropic CORC® wires of less than 4 mm in diameter. Performance of CORC® magnet wires is expected at 300-400 A/ mm2 at 4.2K and 20 T before the end of the year 2015 and much more to come in the years thereafter. At the same time, current densities exceeding 1,000 A/mm2 at 50K in self-field are expected in CORC® power transmission wires. 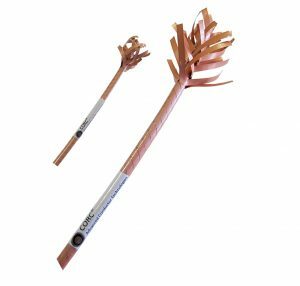 The reduced thickness of CORC® conductors will make them even more flexible and enable a bending diameter of less than 40 mm. Robust, flexible CORC® wires do not suffer from handling issues, as currently is the case for fragile ReBCO tapes. Standard tooling can be used when implementing CORC® wires in an application, thereby significantly lowering technical barriers currently associated with HTS. Other barriers for a more widespread application of ReBCO coated conductors remain, including conductor availability. Current ReBCO coated conductor production is estimated at several hundreds of kilometers per year, insufficient for a larger scale production of magnets and, for example, wind turbine coils. Further reduction of conductor cost, performance increase, and decrease of magnetization through striation of the superconducting film are also areas requiring further attention. We should not forget the tremendous accomplishments of the last 10 years that have brought ReBCO coated conductors to where they are now. For sure the next 10 years will be at least as exciting!